Lotus was selected to participate on two of the ten multi-disciplinary design teams for the year-long Resilient by Design Bay Area Challenge. 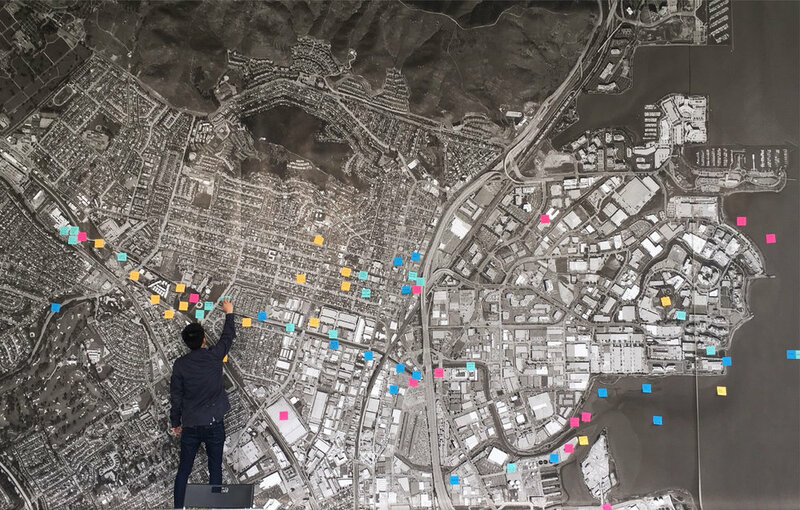 As part of the Hassell+ team in South San Francisco, Lotus led the engineering analyses to develop multiple design concepts to manage flooding, improve water quality, and adapt South City’s critical infrastructure and industrial resources to sea level rise. Lotus closely coordinated with the San Mateo Flood Resilience program and multiple other technical stakeholders to vet concepts and inform the designs. Lotus performed hydraulic modeling of Colma Creek and Navigable Slough to test various flood mitigation and sea level rise adaptation strategies. Lotus also performed the engineering analysis with Dutch project partner Delatres to develop an active tidal barrier at the interface of these two water bodies with the San Francisco Bay. The barrier is designed to take advantage of tidal conditions and physical boundaries of the coast to protect the City’s wastewater treatment plant, create floodable spaces, manage sediment, and re-imagine the Bay edge to be more resilient.